A gallon of milk. It’s a simple thing that’s found in most of our fridges. And, whether you choose whole, skim or 1- or 2-percent, we’ve got some dairy truths for you. 1. You can tell a lot from a cow’s name. 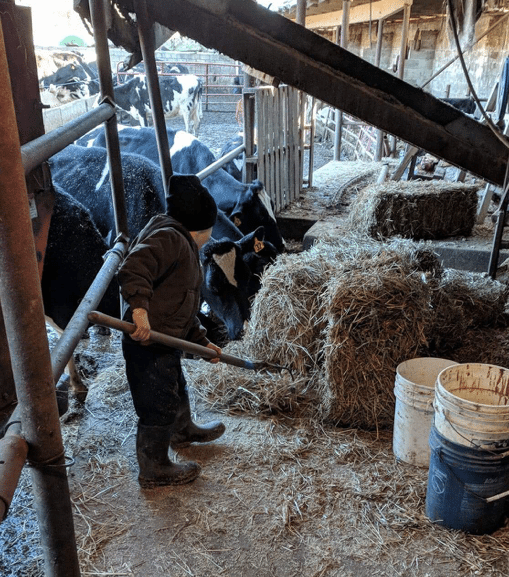 “Cows are all named the same way: First the name of the farm that bred them; then the name of the sire, and, finally, the cow’s own name,” says Billy Bishoff, a Garrett County, Maryland, farmer whose family is transitioning out of dairy. That’s a young Billy on the left, with his little brother Mike and “El-Gay-Ganoe Trump Cindy” in the photo. 2. Farmers care deeply for their cows. 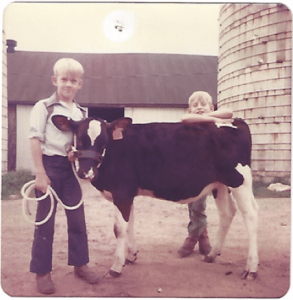 Billy’s father, George, brought cows to the Gap Run Farm in 1958 and, although the family had decided to phase out of dairy this year, they’ve kept a few around to “ease out of it slowly,” Billy says. Milking and caring for the cows takes several hours, twice a day. It’s a habit that’s hard to break, and typically all generations of a family are involved. Here’s Mason Bishoff helping with chores. 3. All milk contains hormones. C’mon people. It’s lactation … it’s the result of a condition that is all about hormones — pregnancy. If someone tries to sell you “hormone-free milk,” be leery. They’re not being 100-percent truthful, or at least not being 100-percent clear. 4. When is a cow not a cow? Pretty much all the time. Bovine beings have a bunch of names to describe their stage of life and gender. If you want to be a legit herd nerd, you’ll need to know what’s a cow, what’s a heifer and what’s just bull. Here’s a quick guide. 5. Are you allergic to milk? No, not lactose intolerant, we mean the other kind of milk allergic: Casein allergy. Well, turns out there’s a milk for you. 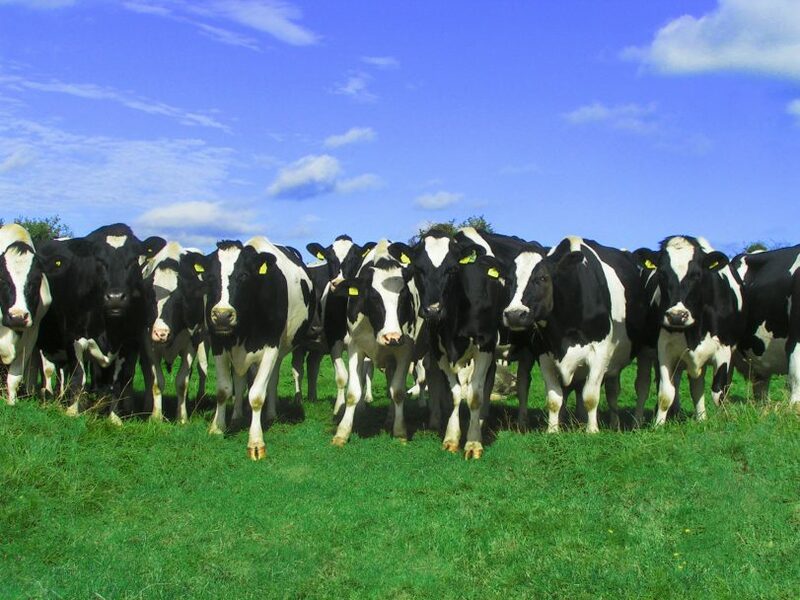 The Guernsey breed of cows sometimes produces milk with an A2 protein expression, which is okay for you to drink. Pretty wild, huh? Some Jersey cows have it, too, and just recently it has been bred into the Holstein breed (those are the iconic black-and-whites). A new brand has recently been marketing A2 milk. If you’re allergic to casein, the protein in milk, it’s for you. If you’re not, you can stick to good old regular milk (and its lower price tag). 6. 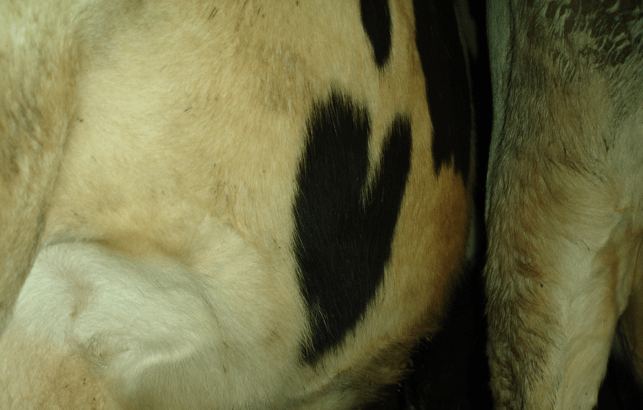 Speaking of Holsteins, each cow’s marking is unique. We heart this one! 7. Maryland’s dairy farms sustain wildlife in addition to livestock. Those wide open acres full of nutritious corn and soybean crops are a favorite with deer and other wildlife. Farmers enjoy wildlife as much as the next person. The Bishoffs’ neighbor Travis Glover used to have a knack for catching little fawns resting in the hayfield, giving them a quick cuddle and then sending them back to Mama. Here’s Travis with Joyce Bishoff. 8. Dairy farmers recycle! Cow manure is used to fertilize crops, which in turn feed the cows, which in turn produce manure … you get the idea. Farmers use best management practices, such as no-till farming, energy conservation and streambank protection. At Coldsprings Farm in New Windsor, Maryland, the Hoff family uses manure management practices, no-till, cover crops and riparian buffers to minimize runoff of nutrient and sediment while maintaining a productive farming operation. It’s no ‘secret’ that the dairy industry is in a serious reduction right now, with milk prices way down and many dairy farms selling out. Support Maryland dairy farmers by visiting a farm and by drinking or donating milk!